- Intelligent RO Water Purifier technology developed by BARC Govt of India. - RO+ UV+ TDS+ ALKALINE cartridge. - Specially designed RO membrane of 0.0001 microns. - ALKALINE cartridge maintains pH level of the water. Owing to the rich industrial experience and expertise in this business, we are involved in providing Water Purifier Repairing Service. We are providing Water Seepage Repairing Services. It is the specialist in the use of epoxy resin material for solving problems in buildings. The problems could be due to rainwater seepage, toilet leaks or failure of existing waterproofing systems. We have rendered our service to solve building owners leakage problems permanently. 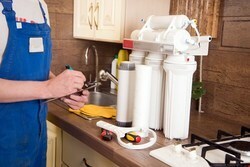 Our company has gained name and fame in presenting Water Purifier Repairing Service. Our company has achieved widespread recognition in providing Solar Water Heater AMC Service. 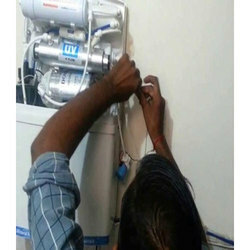 Captivating the skills of our professionals, we are involved in rendering Water Purifier Repairing Service. We Are Leading Water Purifiers/RO Systems Sales And Service Dealers In Hyderabad. RO: Removes Even Dissolved Impurities Be Keen On Arsenic, Rust, Pesticides, Fluorides Etc. Beside Removing Organism And Viruses. UF: Removes Organism And Cysts. UV: For Double Purification, Altogether Kills Remaining Organism And Viruses.